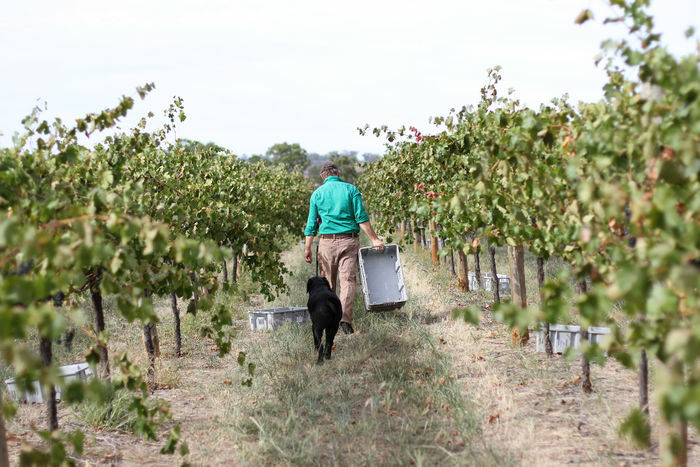 The "Bertie" 2016 Shiraz, made by students under the supervision of experienced viticulturists at the Dookie campus winery, has taken the gold medal at the 2017 Rutherglen Wine Show. 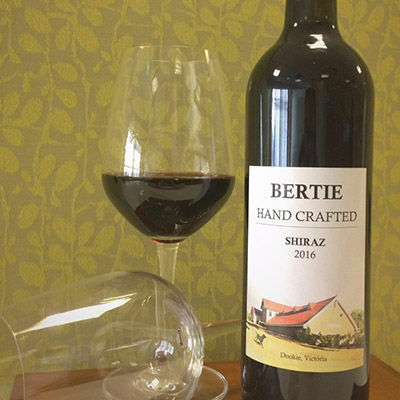 With 56 entries in the Dry Red Shiraz class, less than half the entries were awarded a medal and only four were awarded a gold, including the University's "Bertie" shiraz. The judges said the best wines in the class, including the "Bertie," have fruit vibrancy and length through the mid palate [PDF, entry under Class 213]. 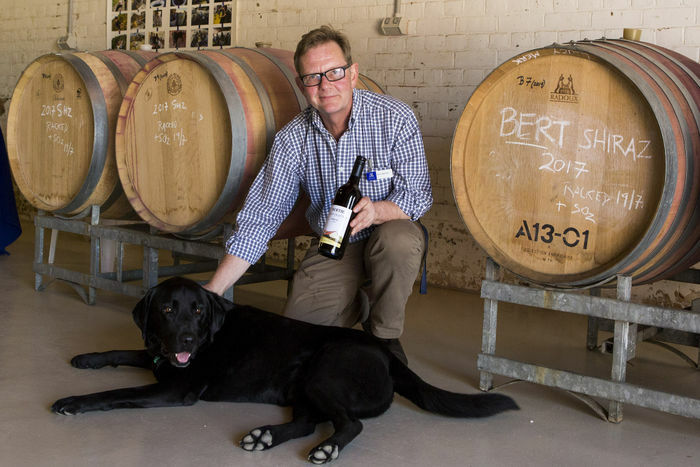 The wine is named after winemaker and lecturer Chris Barnes’ black Labrador Bert, and is made each February by Chris, Sonja Needs and second-year students in the breadth subject Vine to Wine. Chris Barnes and Bert in the Dookie campus winery, and the gold medal-winning shiraz. Photo: Liz Arcus Photography. Learn more about Vine to Wine and our other wine subjects here. "Intense dark berry fruit aromas, with hints of vanilla and spice. Fine grain tannins form a rich, round mouthfeel and elegant finish... A perfect accompaniment to red meat dishes or sharp vintage cheese. In Vine to Wine, students travel to our newly renovated Dookie campus and winery for a week of intensive classes in February to explore events in the vineyard that result in fruit formation and ripening in the lead-up to harvest, and develop an appreciation of seasonal and climatic effects. They harvest grapes by hand, gain a practical understanding of the fermentation process and quality control and participate in the creation of a vintage of wine, which is available the following year. Students also design labels for the wine, before completing the subject with an exam in June. The Rutherglen Wine Show has a history going back over a century, and Rutherglen Wine Show Medals are awarded by world-class judges assessing wines from all over Australia. Every wine receives confidential feedback as part of the judging process. See our photo gallery of Vine to Wine students picking, pressing and crushing the grapes, fermenting the juice and bottling the previous year's vintage.